Get fit, make new friends and have a great time! 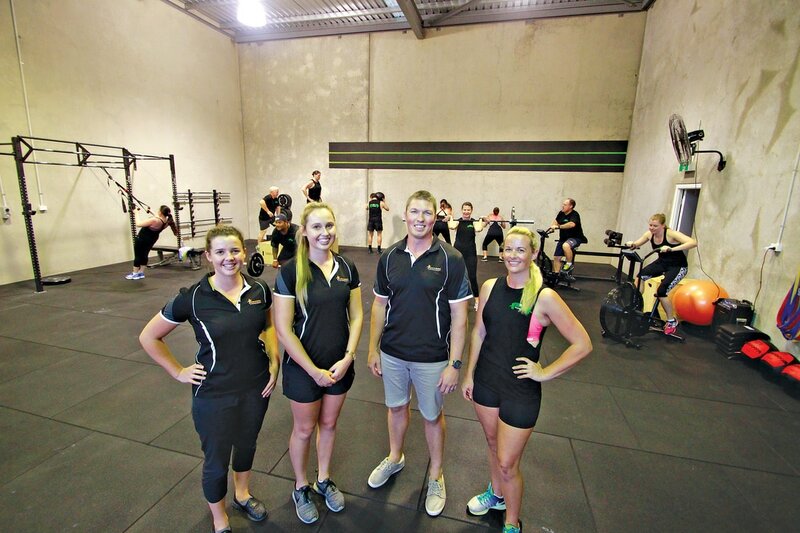 Body in Motion Fitness is Hervey Bay's newest Functional Fitness and Personal Training gym. We are a modern functional fitness gym catering to all abilities and levels of fitness and are the only gym in Hervey Bay that integrates and utilises Physiotherapy into our strength and conditioning programming. Along with expert coaching, exercise advice and programming from our trainers, we have the experienced team from Body in Motion Physio on hand to answer your questions and provide ways of minimising injury and maximising performance. With over 30 classes per week as well as open gym times, you can be assured of excellent value for money as well as being able to achieve your fitness goals no matter what your busy work/life schedule is like! The majority of our classes are "Metcons" (High intensity interval training) and "Strength" (traditional strength and conditioning) and are complemented by Pilates, Mobility and Technique classes along with a Saturday morning Bootcamp style class. At Body in Motion, we are passionate about promoting exercise for all age groups which is why we also run a "Kids class" that is complimentary for children of our members. 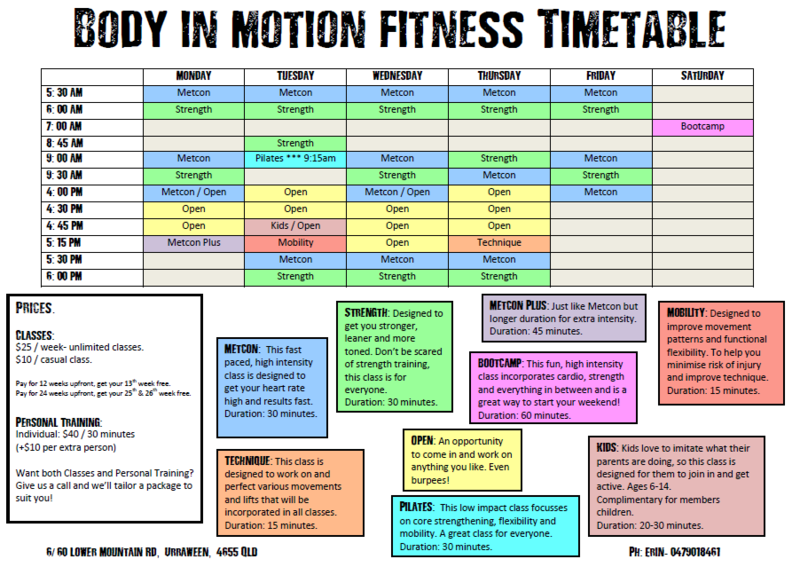 If you are new to training or want to step up your current training, then come and see us and give Body in Motion Fitness a try! ​Find Body in Motion Fitness at 60 Lower Mountain Road, Urraween.